David Bistricer’s Clipper Equity wants to offer 166 condominium units at 70 Battery Place, an offering plan filed last week with the New York state Attorney General’s office shows. The total projected sellout for the converted rental apartments is $192 million. The conversion plan comes after Clipper paid $73.6 million for the building in 2014. The Brodsky Organization built 70 Battery Place, also known as River Watch, in 1999. Tax records show that it receives a Battery Park Authority tax exemption worth more than $2 million this year and that all of the building’s 209 rental apartments are rent-stabilized. A lack of construction permit activity for the 231,000-square-foot building would indicate that Clipper has not yet begun to carry out any of the conversion work. A representative for Clipper did not immediately respond to a request for comment. After 9/11, several 70 Battery Place tenants attempted to break their leases, citing hardships such as poor air quality and loss of subway service. Brodsky Organization charged tenants three months rent to let them leave. 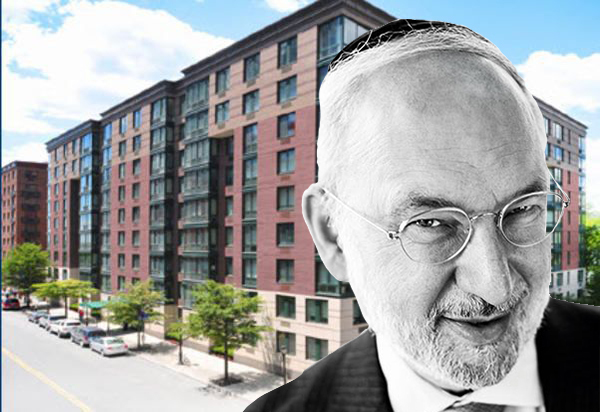 Clipper recently landed a $74 million loan for a 161-unit religious dormitory that it acquired from the Jehovah’s Witnesses at 107 Columbia Heights in Brooklyn. In February, Bistricer’s Clipper Realty, a real estate investment trust, debuted on the New York Stock Exchange.